You are dependent on your drives – whether electric motor, generator or pump – as they are at the same time what drives your company. But what do you know about the real condition of your electric motors or gensets? 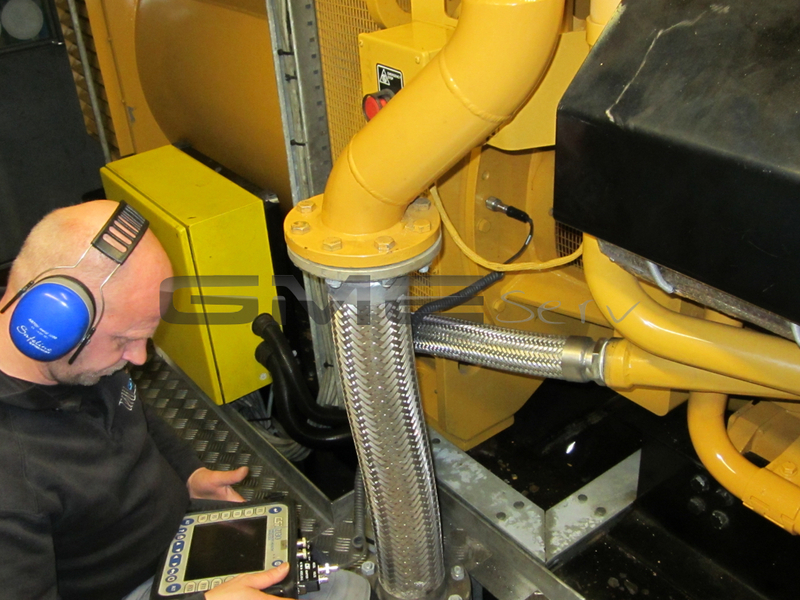 We can help you to find out by determining the actual condition of your genset by way of the FFT analyser A2130 from CSI (measurement of the vibration velocity). Regular follow-up measurements are performed to acquire trend information and to avoid damage. For example, it is possible to assess the condition of the roller bearings and the lubrication status, and unbalances or misalignments can be detected and rectified by way of a laser alignment system. Following the purchase of several measuring devices (Leonova Infinity), it is now also possible to use the patented measuring procedure of SPM Instrument Int. GmbH which is gaining more and more importance. Emerging bearing damage can be recognised in its early development thanks to the shock pulses. Measuring the shock pulses gives an indication of the condition of the bearings and the lubrication. The limit values for the bearings concerned are read from a database and then compared to the measured values. Regular acquisition, graphical representation and evaluation of the development of these measurement values prevent unexpected failures and allow necessary repairs to be planned. Measurement of the vibration velocity Veff, as one of direct measurement parameters, is a straightforward means to assess the condition of the machine. The tolerance limits specified in ISO 10816 or ISO 2372 are based on the experience from the most varied applications over many years. This measurement is therefore the first indicator of many problems.